A manger, as someone succinctly put it, is a wooden structure large enough to hold the Bread of Life. See how this common stable fixture is lifted up to a place of sacred significance. A manger is not enough, though, not even one that holds the Bread of Life. It is only a beginning. The fulfillment lies in another wooden fixture. Looming in the midnight shadows of the manger, there is the figure of the Cross. Like the manger, it is a wooden structure large enough to hold the Bread of Life. The manger is a symbol of joy, but a very peculiar joy, for even as we celebrate Christmas, we know that the day of Crucifixion is also at hand. 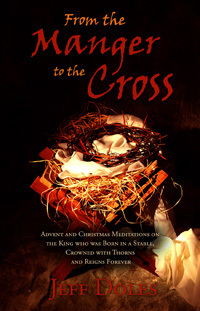 In these meditations for Advent and Christmas, come and consider the King who was born in a stable, crowned with thorns and now reigns forever. Trace the path of prophets who foresaw Him, angels who announced Him, shepherds who witnessed Him and wise men who pursued Him. Ponder with Zechariah and Elizabeth, Joseph and Mary, Simeon and Anna what it means to watch, wait, listen and believe. 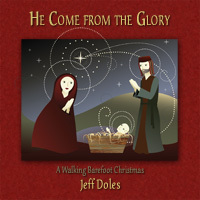 Learn why Jesus came and how His birth, life, death and resurrection are the reason for every season.